Anyone who suffered perforation or required surgery while using a Mirena IUD is urged to speak with a lawyer about their legal rights. The birth control safety advocates at DrugRisk.com are announcing new information on the site for women using Bayer’s contraceptive device Mirena. A federal judicial panel recently updated the amount of injury claims that have been filed by patients in a special court*. DrugRisk was created to improve the safety of patients using popular medication devices by providing the latest product news, safety alerts, research and legal news. Visitors can determine if others are experiencing similar side effects and decide if they need legal advice. 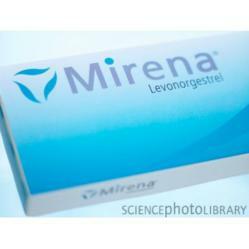 The resource center has added warnings from health experts about the risk of perforation from IUDs such as Mirena. A study published by the Journal of the Society of Laparoendoscopic Surgeons warns patients about migration and perforation of Mirena IUDs after implantation**. With a growing number of patients filing a Mirena lawsuit, federal cases have been consolidated to a special multi-district litigation court in the Southern District of New York (In Re: Mirena IUD Products Liability Litigation, MDL No. 2434). Now, DrugRisk has learned the latest update from the Judicial Panel on Multidistrict Litigation shows 46 claims have already been filed in the court*. Anyone who suffered perforation or required surgery while using a Mirena IUD is urged to speak with a lawyer about their legal rights. Due to the specialized nature of federal MDL drug injury cases, DrugRisk only recommends lawyers who are already handling Mirena lawsuits. For more information on the research, side effects and litigation news related to Essure, Mirena or other birth control devices, or to speak with a lawyer, visit http://www.DrugRisk.com.